What is the 10th Edition and Why is it Happening? 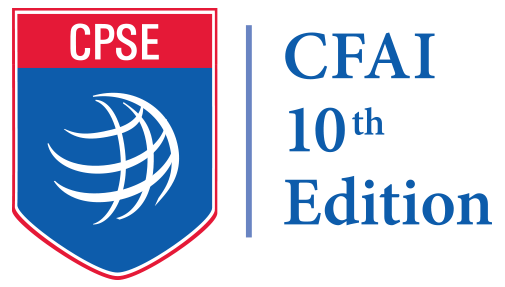 CPSE has launched an effort to create the 10th Edition of the Commission on Fire Accreditation International (CFAI) model. As part of our commitment to continuous quality improvement, the process of creating the new edition will examine current and anticipated challenges faced by fire and emergency service agencies. Updating the model will ensure agencies seeking accreditation have a contemporary model for self-assessment that is consistent with current industry standards and community needs. In 2015, we completed an extensive revision of the CFAI model and published the 9th edition. Acknowledging the rapid pace of innovation, research and change facing today’s fire service, we will lead a methodical and highly collaborative process to update that edition and ensure the accreditation process continues to help agencies continuously improve. What is the Review Process Like? Who is Part of it? The review process will be led by a team of fire and emergency service leaders with real-world experience in order to ensure the model achieves its goal of helping departments identify areas of excellence and opportunities for improvement. We will engage the industry by collaborating with more than 60 fire service leaders and subject matter experts. Volunteering to be a part of the review and development of the 10th Edition along with contributing to the public comment period are the best ways to get involved in this process.